Don’t discard your rabbit pelts. Tan them, sew them, and wear them! The pelts of any rabbit breed can be successfully tanned, however the rex rabbit is especially considered a ‘fur’ breed. Rex fur is short, plush and extremely dense. It looks and feels like a velvet carpet. The pictures on this page are all of rex pelts. We wish you could feel how dense and springy the fur is. Cool the fresh skin by dropping it into a 5 gallon bucket of cold water, one by one, as you process your cull rabbits. They can remain submerged until you’re done with butchering. Thoroughly rinse all the blood out of the pelt. Any dried blood left in the pelt will stain the skin. This is no problem, unless you plan to make a garment worn with fur inside and skin outward, such as a winter cap. Squeeze the extra water out of the pelt (don’t twist or wring). Stretch the pelt on a wire pelt-stretcher. Or, you could tack it to a large piece of plywood, skin side outward, stretching it smooth without overstretching. Carefully scrape any meat and fat off the skin side of the pelt. Allow pelt to completely and thoroughly dry. Do not package the pelt until it is already completely dry. To store stretched and dried pelts, use moth crystals (paradichlorobenzene), not mothballs (naphthalene). Do not store in plastic. If you plan to tan the pelts yourself, you may freeze them after squeezing out the extra water, and accumulate several pelts to tan at once. Want to have your rabbit pelts professionally tanned? 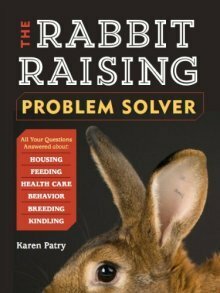 A Utah Rex rabbit farmer recommends Moyle’s Tannery, "The Official Tannery of the National Trappers Association." I'm told that Moyle's Tannery can make even a buck pelt soft and pliable. Tanning requires up to several weeks of soaking in an alum or acid ‘brine,’ and then lots of elbow grease stretching and softening the pelt. The finished result is almost magical -- a soft and supple, incredibly warm, material that can be sown into garments, hats, shoes, gloves, rugs, wall hangings, and bedspreads. 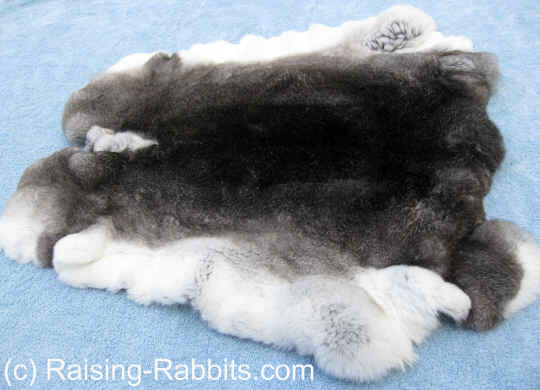 Yurts and teepees are also traditionally made of animal skins, though not from rabbit ones. 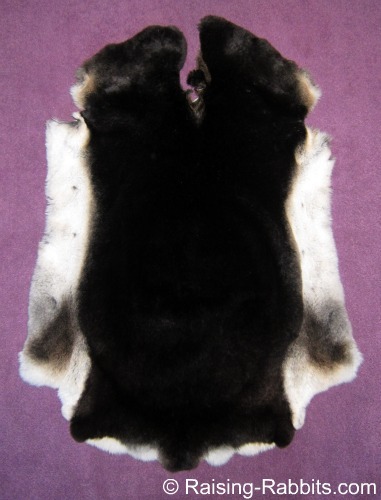 In this fashion, animal skins have preserved human lives in northern climates for millennia. 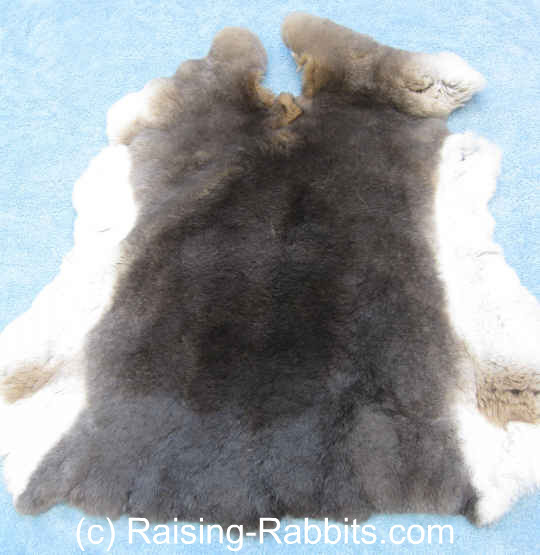 Learn how to tan your rabbit (and cow, sheep, deer, etc) pelts at home. You'll find all sorts of tanning recipes, including tawing, smoking, curing with brains, and old-fashioned tanning with bark brine for many months (bark brine is used for making leather only). These books will tell you what you need, where to get it, how to do it, and even patterns. How to Tan Rabbit Hides; Published in 1983 in the Mother Earth News. I've used these directions for nearly as long as they've been in print. 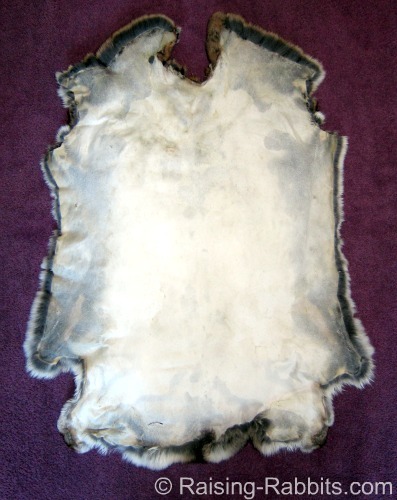 Home Tanning Process Preserves Pelts: Published in The Mother Earth News in 2001. A clearly written recipe using bran and battery acid. Looked to be easy to follow. 1 pound alum equals 2 cups of alum, enough to tan 7-8 pelts, when using the Mother Earth tanning recipe as we do. The inner membrane of a pelt must be removed in order to correctly tan the hide. If using the Mother Earth alum recipe, you'll strip the membranes by hand during the soaking process. A pelt scraper helps remove any membrane material that proves difficult to pull free from the pelt. If you dry the pelt on a stretcher, then the pelt scraper removes the fat and membrane before beginning the tanning process. The rabbit skin is thin; don't press too hard. 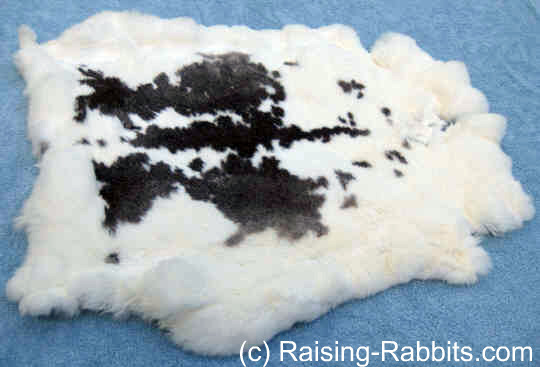 This is the back side of a tanned castor rex rabbit pelt. If it had been a fully primed pelt, it would be completely white. As it is, you can see the darkness in the pelt on the edges. 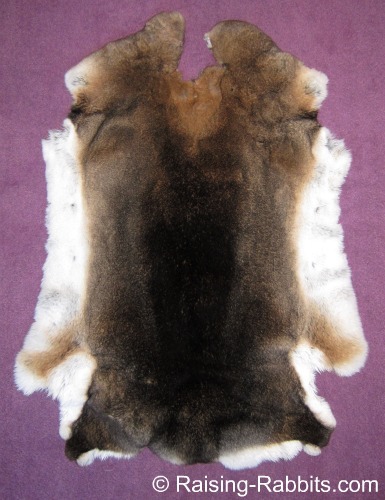 This pelt was nearly prime over the back and down the sides, but not on the belly. Even when freshly removed, the skin is white when prime and darkened when the coat is still growing in. These Directions for a Rabbit Pelt Blanket require up to 50 pelts, cut into strips and sewn together - a Paiute Indian traditional method of staying warm in the winter. Fascinating!